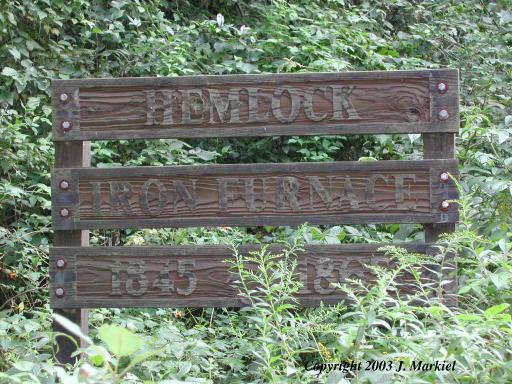 Hemlock Furnace is virtually gone - the only remains are the sign, some fallen stones, and the back portion of the inner cupola. The site is heavily overgrown and nature is slowly reclaiming this old relic of our industrial past. The cupola area is very open, including the bosh and hearth. It is unusual to find a hearth that is not filled with earth or rubble. From Venus, PA, take Gowdy Road (T593) east. 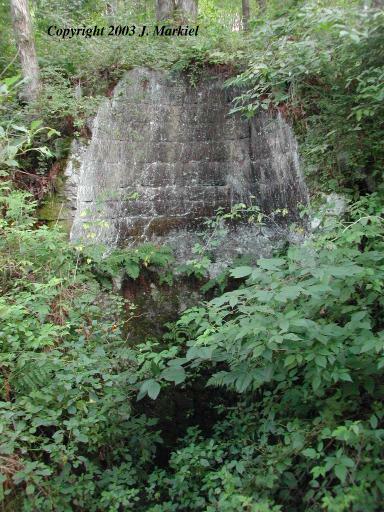 The furnace sits on the right just before the intersection with McCauley Road (Where the road forks).